Please pay attention to me. A donkey is not your ordinary pet. I seem to function in out-of-the-ordinary. 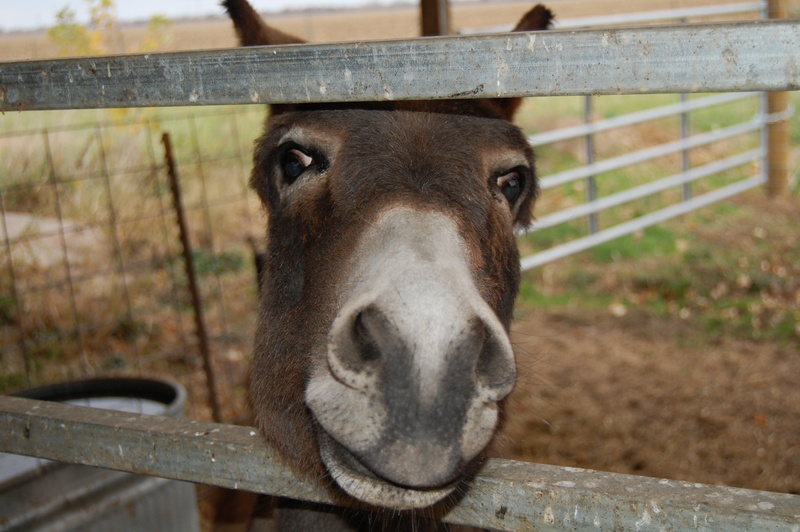 Many years ago, we added an old donkey to our little farm. It was not a necessary addition in my opinion. I didn’t have a cart I needed pulled. I wasn’t planning on packing my way through a mountainous region. It was just another mouth to feed. Enter Apple Jack. Exit common sense. He grew on me. He was loyal. He was friendly. Well, not to dogs. He was oh-so noisy. He was missed after he died. We recently brought a one-year old donkey to our little farm. Would he be able to live up to Apple Jack’s reign? Would he have personality? Would he make us and our guests smile…after they covered their ears!? 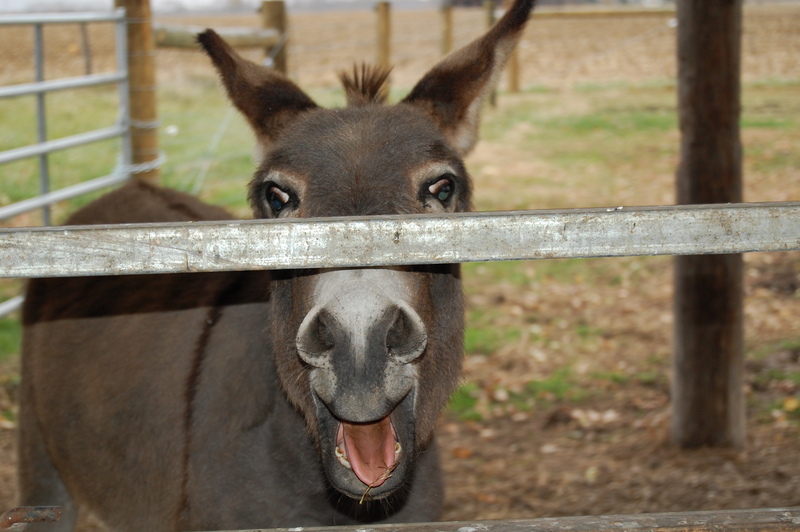 The first comment people usually make is, “You got another donkey?” Followed by, “What is his name?” It didn’t take long for his name to form in my heart. Happy. He seems happy. He makes me happy. Happy it is. Marla I think it is awesome. Obviously Apple Jack was very special and he will not be Apple Jack but if he makes you happy why not. You probably have kids come and go through your house that you feed all the time that dont necessarily make you happy. So why not a donkey. Lori, you made me smile!! Happy will love to meet you, Cheryl! Thanks for reading.